It was a red carpet welcome fit for a queen, or the biggest OPM artist of all time – the way ABS-CBN wanted to put it. Patiently waiting at the audience area of the Dolphy Theater were her fandoms of some 200 strong members. “We have invited a record-breaking number of press just for this occasion alone,” the program host said to further convince the fans that they’re witnessing an event considered as one of the biggest on the entertainment scene this year. TEARS OF JOY. 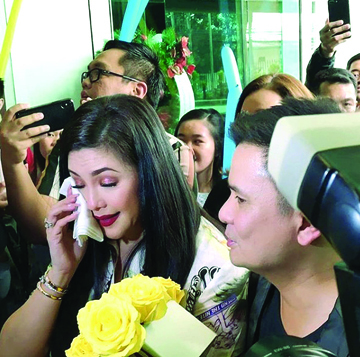 Regine Velasquez went emotional when she visited ABS-CBN headquarters and was greeted by her fans, executives and employees of the media giant. 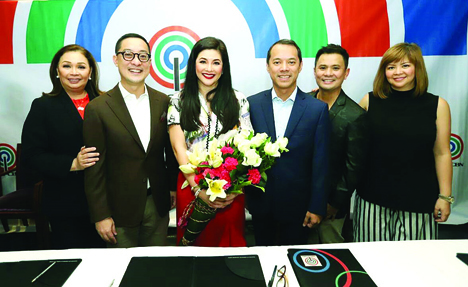 Prior to the grand welcome, Regine Velasquez met with ABS-CBN chairman Mark Lopez, president and CEO Carlo Katigbak, COO for broadcast Cory Vidanes, TV production head Laurenti Dyogi, Dreamscape Entertainment head Deo Endrinal, head of finance for broadcast and news and current affairs Cat Lopez, to formalize her “return” to ABS-CBN, after weeks-long anticipation, by finally inking a two-year contract with the media giant. Fans and Kapamilya employees warmly welcomed the Songbird, too, when she stepped in ABS-CBN headquarters for the first time in years. At the presscon, the 48-year-old chanteuse revealed that she will be part of ASAP as a mainstay. Her inclusion though in ASAP Live in Sydney concert happening today is just a special guest appearance. She added that she is doing a yet-to-be-titled musical sitcom with her husband Ogie Alcasid and Ian Veneracion, and for the first time, she will be a judge in a reality singing competition. Manila Standard Isah Red, who Regine recognized instantly and said was the first person to interview her when she was just starting out as a teen singer, asked the Songbird what sparked her return to the network. “The reason why I’m here is because I don’t how much longer I will be able to sing. And I want to work with very talented singers, that’s it -- that before I end my career I can say that I worked with the number one station,” she retorted. Regine Velasquez-Alcasid with Cory Vidanes, Carlo Katigbak, Mark Lopez, Ogie Alcasid, and Cacai Velasquez-Mitra. While emotions were high the program unveiled a VRT and video greeting from top Kapamilya stars that wanted to work with the Songbird.Sarah Geronimo, Piolo Pascual, Gary Valenciano, Angel Locsin, and Vice Ganda all sent video messages welcoming Regine to the network and conveyed that they could no longer wait to collaborate with her for future projects. 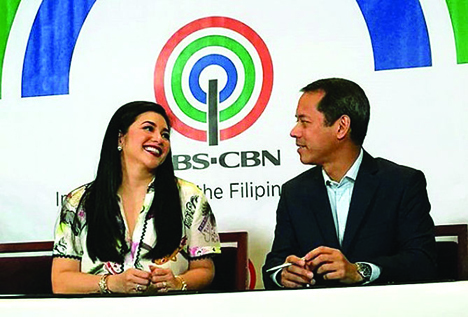 With excitement, the also Songbird announced that she will perform the theme song—written by Ogie—of the upcoming television series The General’s Daughter, which stars Angel Locsin. 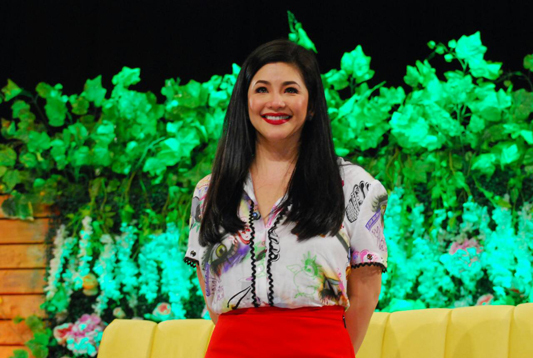 Regine started her television career in the 80s on ABS-CBN musical shows Teen Pan Alley and Triple Treat, and starred in an episode of MMK in 2002, for which she won the Best Actress trophy at the PMPC Star Awards for TV. In 2002, she headlined One Night with Regine at the National Museum, which she identified as one of her most memorable concerts, which raised funds for ABS-CBN Bantay Bata 163. At the ABS-CBN Ball 2018, she announced her plan to stage another benefit concert for the reopening of Bantay Bata Children Village.